Friday night, before I went to bed, I saw a tweet that said veteran civil rights activist Anne Moody had died at the age of 74. I shed tears as if someone in my family had died because I felt as though I knew her. We were both born in the “Great State of Mississippi,” and I have assigned her memoir Coming of Age in Mississippi to my American history classes many times. 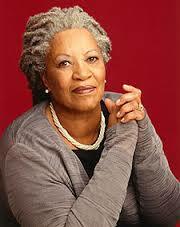 Her story seems to resonate with college students, perhaps, because she was close their age when she wrote the book. Although I was sad about her death, in a strange way, my thoughts about Anne Moody made me realize why I teach after a week during which I needed some reassurance. This week had been a difficult one at the small southern college where I teach. A student in my American history class, angry that I had assigned three books, in addition to the textbook, had complained to me in person and by email about having to purchase the books. Then, last week, she angrily confronted me after class. She reiterated that she could not afford the additional readers–two of the three which can be found online for free, while the third is less than seven dollars. She was also displeased with my teaching methods. It was clear that she liked nothing about me or my class. This incident made me question my career choice. Sometimes the resistance to me, my classroom instruction, and my assigned readings is almost too much to bear. I asked myself, Why am I doing this if the students don’t appreciate it? Even though other students who witnessed the student’s verbal attack reassured me that her critique was not indicative of how they felt, I was discouraged. Interestingly enough, this is where Anne Moody comes back in. The next morning I woke up thinking about her and all of the times that I had assigned her book. I also thought about the history that I had introduced to my students over the years–through lectures, discussion, readings, photographs, documentaries, and audio recordings. I know there is value in learning about the past and its connection to our present. There is value in learning about people and our common humanity. So, I am here for the students in the “Amen corner,” who engage in call and response because they are feeling what I am saying. I am here for the students who have come to me in tears after a documentary on Wounded Knee. I am here for the student who seemed disinterested but then surprised me when he wanted to to talk to me about a website I recommended on Goreé Island. I’m here for the non-traditional student in my class who came up to talk about monopolies after I discussed the Sherman Anti-Trust Act. I’m here for the student who said she actually enjoyed my lectures. 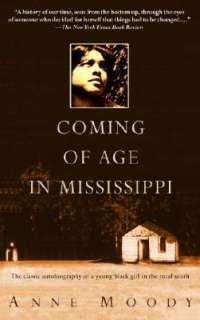 I’m here for the students who had not read Coming of Age in Mississippi before my class but ended up thanking me for assigning it. Yes, that is why I am here. Thank you, Anne Moody, for reminding me of that. Rest in Peace. Wacky Wednesday: What Would You Do With a Room of Your Own? In 1929, Virginia Woolf published an essay, “A Room of One’s Own,” arguing that if women had a room of their own, quiet from the duties of being wife and mother, we would see more women writers. Woolf, in this essay, examined the impediments to women being able to write. So, 2 Dope Sistahs explored what we could accomplish with a room of our own . . . So, as I started to think about the answer to today’s question, it didn’t take me long to realize that a room of my own would not mean s*** unless I have a chauffeur of my own to take my child to and from school, to gymnastics class, acting class, after school math help, and every other place she spends her time. Without a cook of my own or a maid of my own, that room wouldn’t mean anything to me either. Without 5 other “me,” when would I have the time to spend in this room? The more I thought about this question, the more I thought about Alice Walker’s, “In search of Our Mother’s Gardens,” and the ways in which she took Woolf to task for her analysis of why women didn’t have time to write. Walker forced many women–middle-class, white feminists, to be specific–to recognize that race and class overlap to create additional impediments to women writing. So, with a room of my own, I’d like to think I would catch up on the reading and writing I so desperately want to engage. Right now, a room of my own sounds like just another damn room to clean. Image Courtesy of Serge Bertasius Photography at FreeDigitalPhotos.net. What would I do with a room of my own? That’s easy, peasy. I can picture it now. I’d have an awesome library! Right now my books are here, there, and everywhere. I don’t have enough space for them, but I would love to have them all in one room. Some are in the garage in boxes; some are in my home office/guest room; and others are in my bedroom. Finding a particular book requires quite a bit of detective work. I have the layout for my room already planned. My library would have built-in bookshelves from floor to ceiling, a writing desk, and a chaise longue. No television, just a peaceful room, maybe with a little classical music playing in the background. Oh, but what would I do in this room? 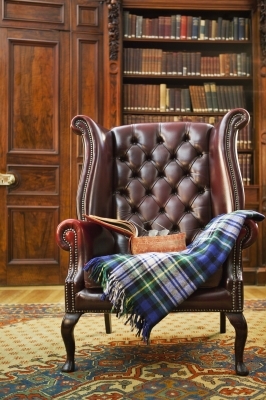 The same things I normally do–read, research, study, write, and relax. I’d just have a room that is all mine to do them in. When I Think of Home. . .
What do you think of when you think of “home”? Not the place where you currently live. I mean the place where you grew up. For me, the best way to explain it is: It’s complicated. I have some lovely memories of home. Most often they involve my grandparents who watched over me–making sure that I always had everything that I needed, even when times were lean; making sure that I attended church; and making sure that I was a “good girl” and “got my lesson” (finished my schoolwork). But all of my memories are not warm and fuzzy. For many years, I lived with my mother and a stepfather who was an abusive alcoholic. This, of course, was not conducive to a normal mother-daughter relationship. He was volatile; we never knew what would set him off. His appearance always made my stomach churn, and I avoided him like the plague. Unfortunately, there were also others in my extended family whose lives were often out of control because they abused alcohol. In spite of–or maybe because of–the love and support for my grandparents, I knew that I had to leave home to create a different life for myself. 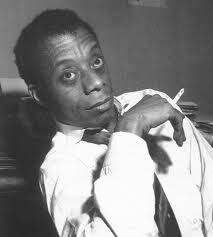 I could not be what I wanted to be–even though I didn’t quite know what that would be–if I stayed home. I infamously told my mother when I was a junior in high school that I could not wait until I finished high school, so I could go to college and never come back. It has been many years since I boarded a Greyhound bus, with my money hidden in a handkerchief (can’t tell you where) and a box a chicken to eat on the 18-hour ride to the University. And now I have a job opportunity that is taking me back home, not to the same city but the same state. Ironic, isn’t it? I’m going back to the place I’ve been running from all these years. Will be difficult? Can I make peace with the ghosts of the past and the realities of the present? I don’t know, but I wonder where this road will lead. Image Courtesy of John Kasawa at FreeDigitalPhotos.net. I still consider myself newly “natural,” even though it’s been close to two years (22 months actually) since I stopped relaxing my hair. Maybe that’s because being “natural” has taken a while to get used to. In the time that I’ve been natural, I’ve tried lots of different products–some good, some bad. Most of my mistakes have been minor. . . except for the one rather unfortunate decision to cut my own hair. I know that trying to cut my own hair was an extremely bad idea. If you’ve read our blog, you know that I’ve had quite an ordeal trying to find someone to do my hair in Iowa. And I just wasn’t feeling my barber at that time. In fact, I had resolved never to go back to her. I decided to try cutting my own hair (something I would not ordinarily do). After all, I cut my husband’s hair all the time, I thought. How bad could my home haircut be? As it turns out, pretty bad. I cut a huge chunk out of my hair–down to the scalp–with the clippers. I was trying to get my fade right in the back. It was a hot mess! There was absolutely nothing I could do to make it better. For the next three weeks of bad hair days, I hid my haircut under a hat whenever I was in public; fortunately, I have a large collection. I eventually went to the barber shop and got my hair cut by a professional again, but I had to wait until my hair grew back. I was embarrassed and didn’t want anyone asking who jacked up my ‘fro. So, about a month ago, I had my hair straightened for the first time in 6 months and the first time professionally in over a year. I only straightened it to get my ends clipped. 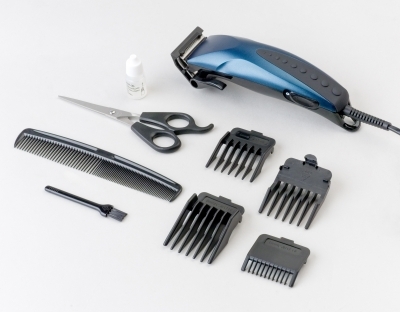 It was bone straight and quite frankly, my hair still has not recovered from the hot comb–there a pieces that will no longer curl properly. Anyway, that isn’t exactly the mistake I’m referring to, though. The mistake I made wasn’t detrimental or harmful to my hair, it was actually a little humorous. Only a little humorous because I had some place to be that day. So, we planned to visit some friends who live an hour away. I live in the DC-MD-VA area and everything is at least 45 minutes to an hour away. That morning, I decided to wash and deeply condition my hair. I decided that I needed to make sure I used a conditioner that strengthened and moisturized my hair because it had just been straightened TO DEATH. I decided to mix mashed bananas, honey, and mayonnaise with my favorite conditioner. I started rinsing out the conditioner and it felt good. I mean really good. 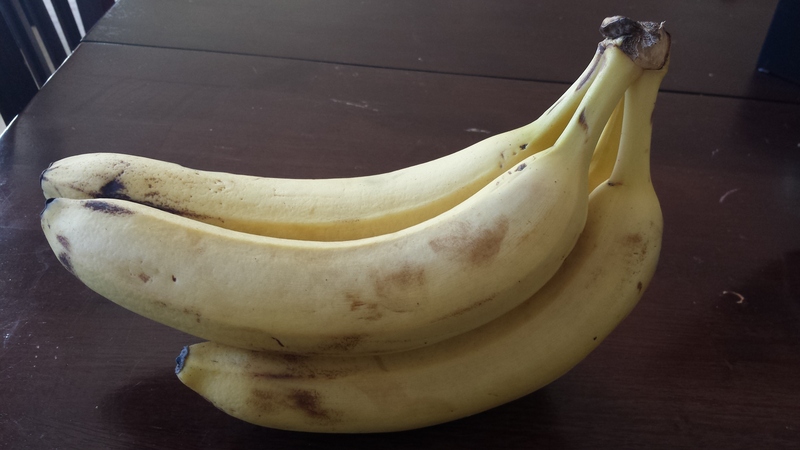 Now, you know I could not go to someone’s house with “banana hair,” so I spent another hour or so more picking out bananas. I got about 80% of the bananas out of my hair before I left, but it wan’t until the next wash that I thought it was completely gone. For this week’s Foto Friday, in honor of Veteran’s Day, I decided use old photographs to pay tribute to veterans in my family. 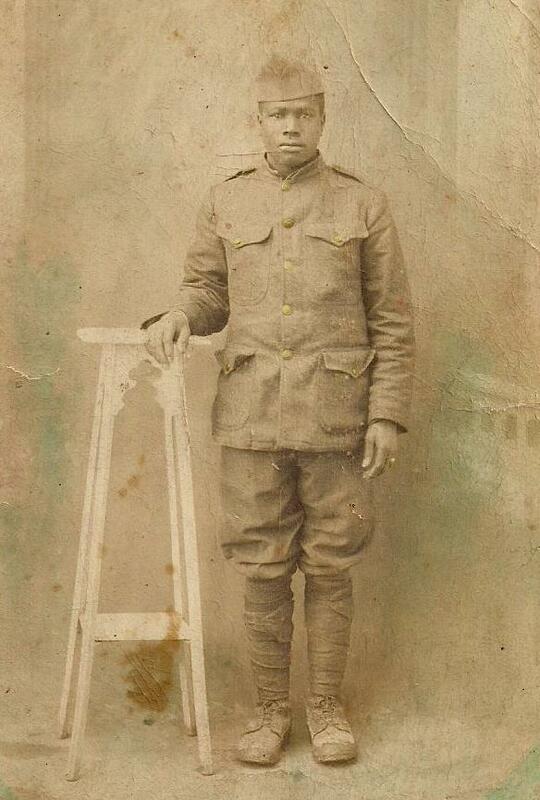 My “doughboy” great-grandfather, Jim Tanksley, served in the Army during World War I, if only briefly. He registered for the draft in June 1917 and was called into military service in August 1918, three months prior to the Armistice. He served overseas, most likely in France, and a year later he was discharged from the Army. This image of him is from a postcard. Like father, like son. Jim’s son and my great uncle, James Earl Tanksley, was a World War II veteran. 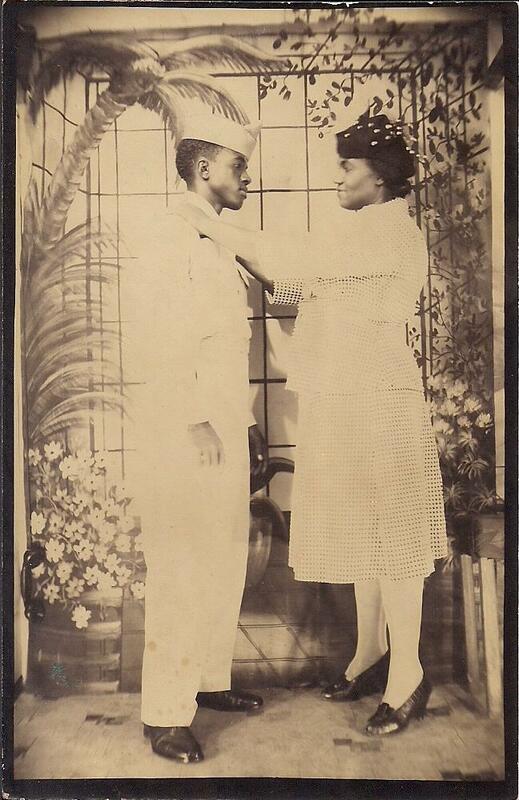 Uncle James is pictured here with his mother, my great grandmother, Della. The clarity is not great, but I really love this picture because of the way she is looking at her son with such love and pride. 1. I prepare for NaNoWriMo by creating a working outline. I try to start a couple of months in advance so that I can add ideas here and there as they emerge. 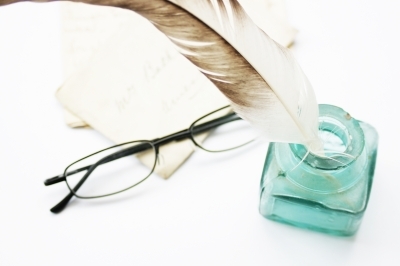 I use vague terms and ideas, with hopes of exploring them throughout the writing process. Most ideas make it in the actual draft, while others don’t. Sometimes, I explore the ideas in ways that I never imagined. So, be flexible. 2. I write on Google Drive, that way I have access to my documents on my laptop, tablet, and smartphone. This helps me mostly when it comes to my outline. This way, I am able to add an idea or two to my outline whenever/wherever I am. 3. 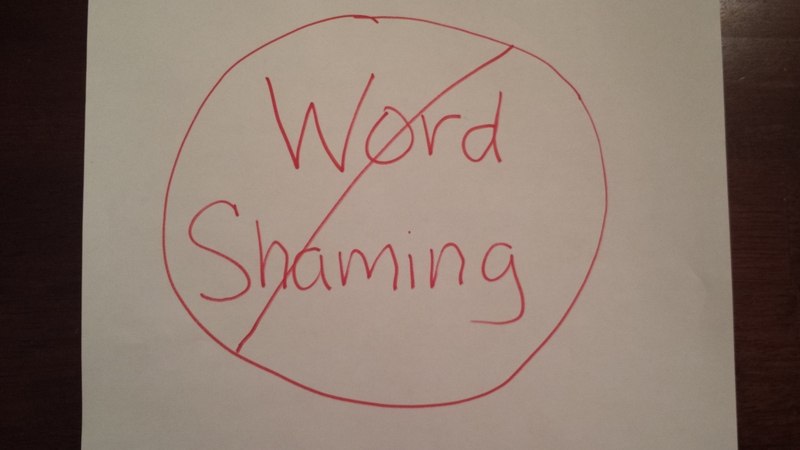 I don’t “word shame.” Sometimes I reach my word count goal, other times I do not. I really try to make 1,666 words each day, but sometimes I just can’t. Fitting 50,000 words into your month is not an easy fete. If it were easy, everyone would have written a novel. I don’t make myself feel ashamed about not being able to accomplish my goal, I just work extra hard to find time another day to make up for the time I lost writing. Image Courtesy of Simon Howden at FreeDigitalPhotos.net. As you can see, Hype is really organized when she writes. She gets her outline in order before she begins. She also made a spreadsheet (that she shared with me) to log the number of words that she has written each day. Although I marvel at her process, I #NaNoWriMo quite differently. I wish I could say there is a specific method to my madness, but there isn’t. I’m not even sure what I will do with stories/histories/thoughts/feelings I am recording; I just feel compelled to write them. I just get out my little notebook and smooth writing pen, think about my loved ones, and I write. I write longhand rather than at my computer. I enjoy writing like this. For me it feels more thoughtful and creative and less like work. 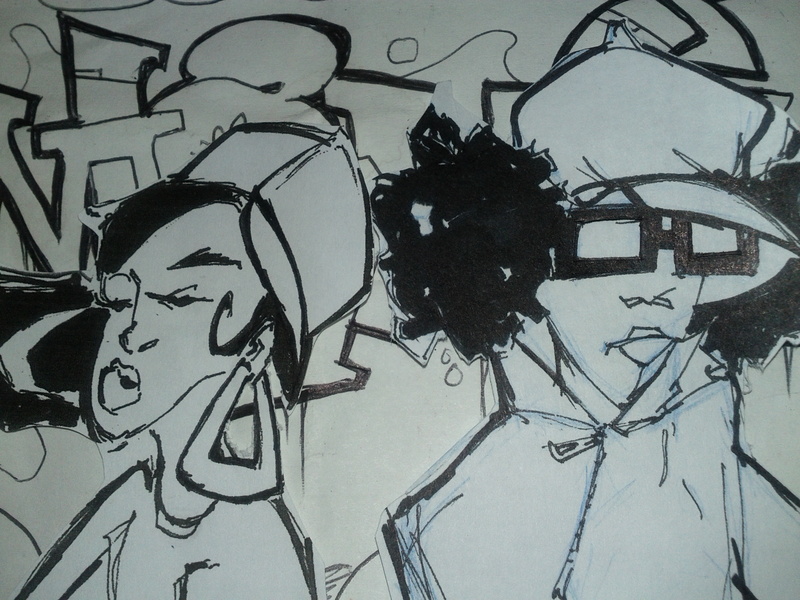 So, 2 Dope followers, that’s how we do it. How do you NaNoWriMo? If you’ve followed 2 Dope Sistahs for a while, you know that I take a lot of pictures while I am out walking. This photo is from a couple of weeks ago. I was struck by the colors and just had to stop and admire them for a moment. It looks a little crooked, but that is because it’s on a hill. Fall colors are so beautiful, but they only last such a short time. 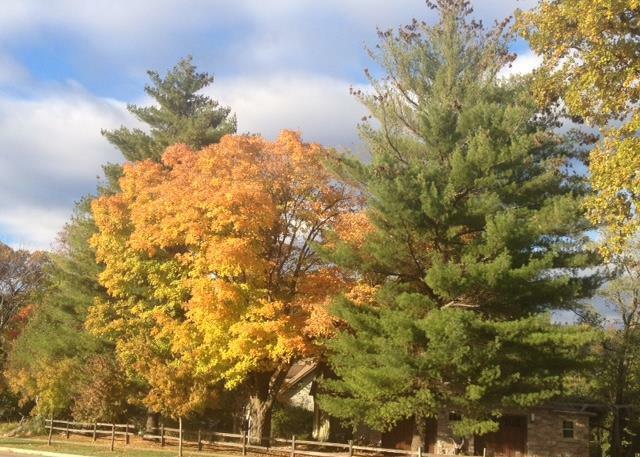 If you haven’t had a chance, go out and enjoy the leaves changing colors before it’s too late! A few years ago Hype asked me casually, “Are you going to participate in NaNoWriMo this year?” I asked, “NaNoWri Who?” Seriously though, I’m pretty sure I asked, “What is that?” National Novel Writing Month (NaNoWriMo) happens every November. It is a national challenge to write a novel in a month, spending time each day in November writing, in an effort to reach the goal of a draft of a 50,000 (an average of 1,666 words per day) word novel by month’s end. Hype is a literary scholar; she also writes fiction– short stories and novels. So, it’s not surprising that that NaNoWriMo appeals to her. Even though I am a historian, she seems to think I can write a novel because of the funny/crazy true stories about my life and my family. 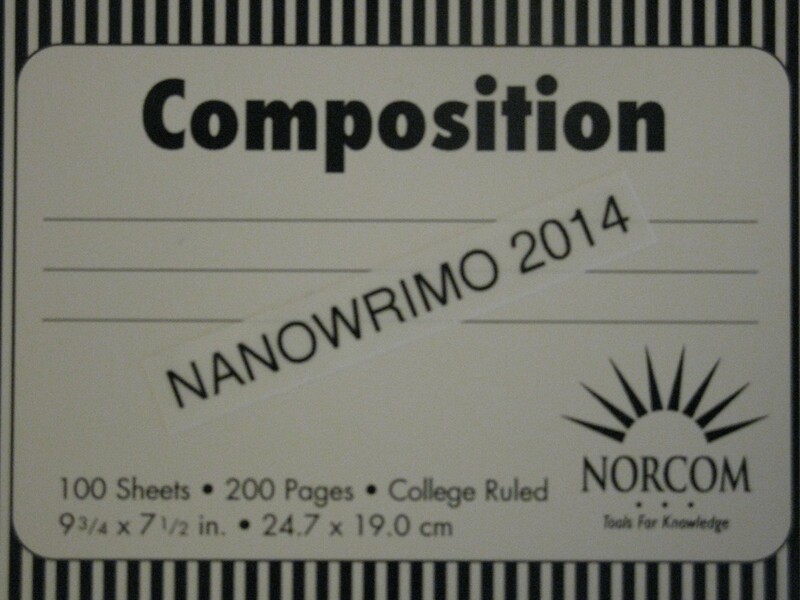 Although it wasn’t quite kicking and screaming, I have agreed to participate in this year’s NaNoWriMo with Hype. I thought it would be good opportunity to write down some of my stories and get back into blogging. We’re a little tardy to the party, so I’m suggesting that we write from November 3 to December 3. What on earth does this say? I love my tall, nonfat-mocha-no whip (skinny mocha) from Starbucks.The least pleasant part of my ordering experience has to be when they ask me for my name. Yes, it’s a minor inconvenience–though sometimes I wonder why they do this when there are very few or no other people in line. Whenever I give them my first name, I inevitably get a puzzled look. And then, “Huh?” I got so tired of having my name mangled that I decided to use a nickname. Since I’ve had students that call me “Doc,” I figured that would be simple enough. What could be easier? I thought. Apparently, I was wrong, using this seems no easier. 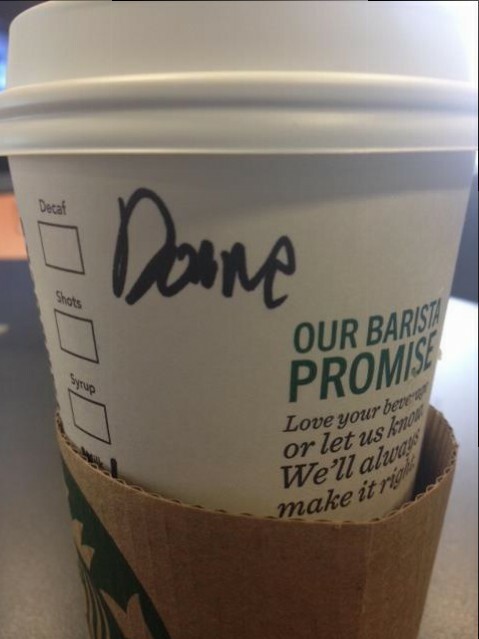 I still get the response: “Huh?” And I say, “Doc–D-O-C.” The name on my cup of coffee has said “Dot” and also “Dock” before. But Saturday’s incarnation of my name was certainly new. See above. Ok. I’m not really sure what this says, but I KNOW it doesn’t say “Doc.” It makes me wonder why people are having soooo much trouble with this name. Are the barristas unable to wrap their minds around my being a doctor of something? No, I choose to put a positive spin on this. They can’t believe someone so young and beautiful could have a doctorate. 😉 And I accept their compliments. So, 2 Dope Readers, what’s your Starbucks’ Name? There are those moments that everyone remembers where he or she was. My mother vividly remembers the assassinations of Pres. John F. Kennedy and Dr. Martin Luther King, Jr. I was in elementary school in 1981 when there was an attempted assassination on Pres. Ronald Reagan. I don’t know if the students were told why, but we were released from school. When I got home, I watched the clip of the assassination attempt over and over on television all day long. I also remember the the Space Shuttle Challenger explosion in 1986. It was difficult to believe it had actually happened. The collapse of the Word Trade Center on September 11, 2001 was the first national tragedy that I watched as it happened. On September 11, 2001, I was a newlywed. In fact, I had been married exactly two weeks. I woke up that Tuesday morning and was looking at the Today Show. My husband worked second shift, so he was still asleep. While listening to the report of the first plane crashing into the World Trade Center, I saw the second airplane fly into the building live. I woke Zachary up so I could tell him about it, but he didn’t seem to fully comprehend because he was so groggy. He went back to sleep. Later, when he woke up, he told me he thought it was all a dream. . . more like a nightmare. Every year when I celebrate my anniversary, I can’t help thinking about the tragic anniversary that will follow in two weeks. 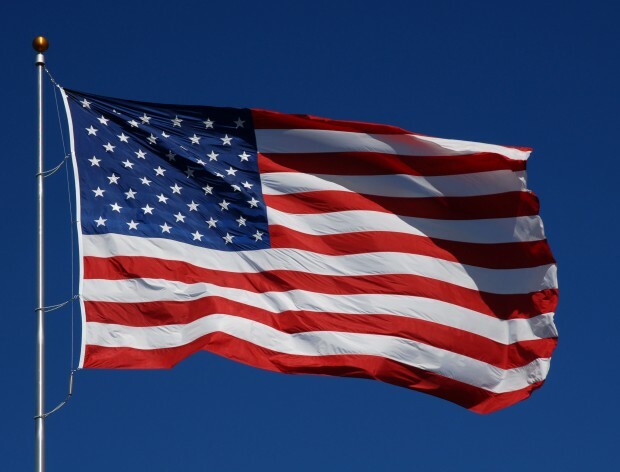 What do you remember about September 11, 2001?